Talk to Victor Parra Gonzalez, one of the co-owners of Buffalo’s newest restaurant Casa Azul, for at least five minutes and two words will likely come to mind: uncompromising and determined. 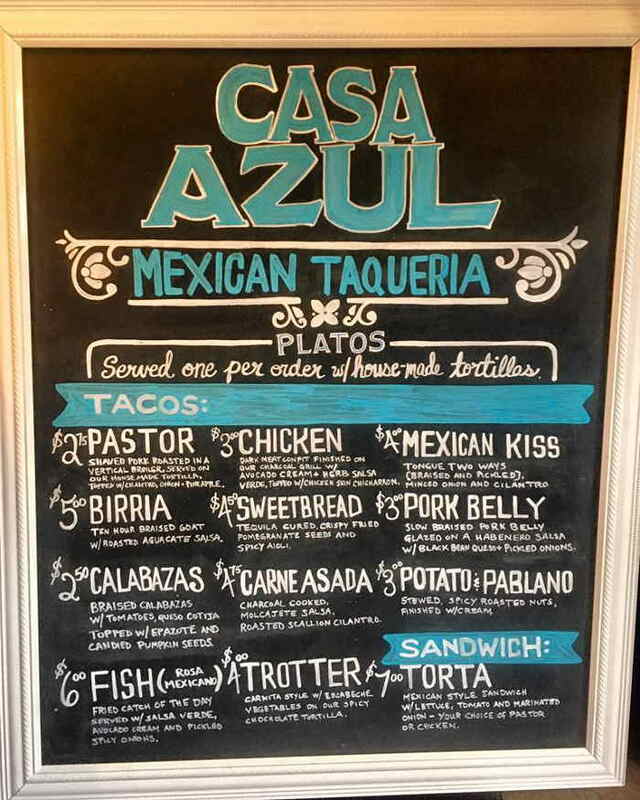 At Casa Azul, now open to the public as of Monday, December 5th at 11:30am, the classically-trained Mexican chef and restaurateur is putting forward uncompromising Mexican street food with a new partner after his former partner was brought up on federal charges. 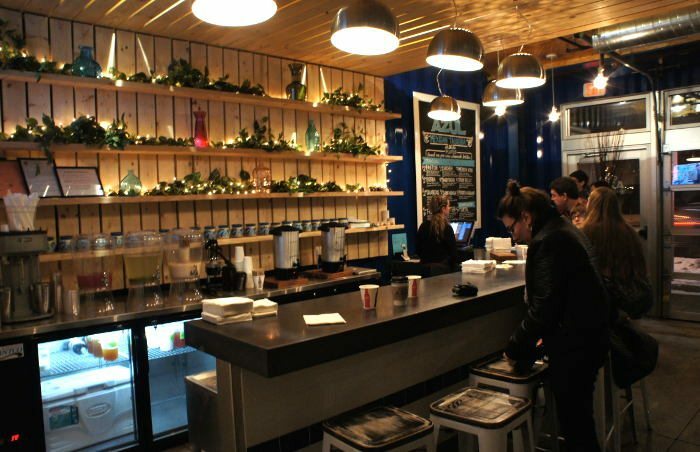 Casa Azul is set in the repurposed shipping container space that used to house Dog e Style. Gonzalez and his partner Vincenza Lapi have made a few tweaks to the ground floor space, the only floor currently open. However, the industrial wood-and-metal vibe has remained intact. Since opening his first restaurant in Western New York, Jaguar at the Bistro, Gonzalez has being putting forward a highly-authentic version of Mexican cuisine, despite the strong possibility that an Americanized version might prove to be more popular. 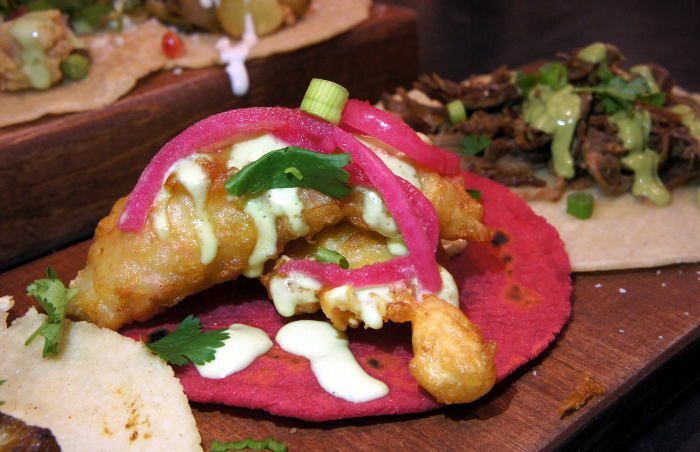 That won’t change with Casa Azul, which essentially combines eight different tacos stands you might find in any Mexican street market. 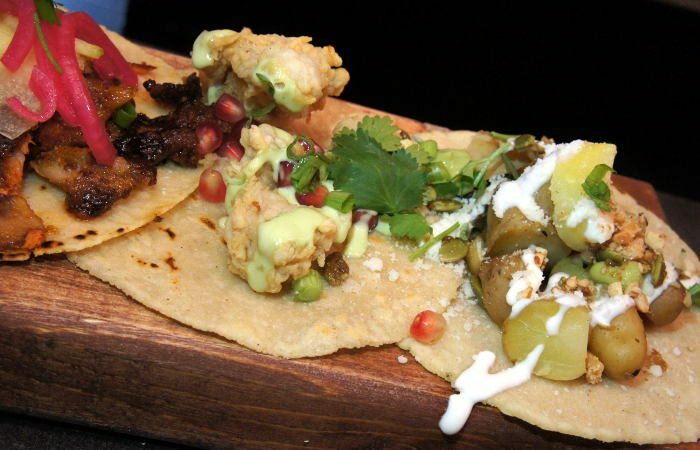 On opening day, menu highlights included pork belly tacos with black bean queso, fish tacos with salsa verde and tacos al pastor, or rotisserie-roasted pork topped with cilantro, pineapple and onion. Casa Azul also expands on Buffalo’s current taco options by making offal a big part of its menu. 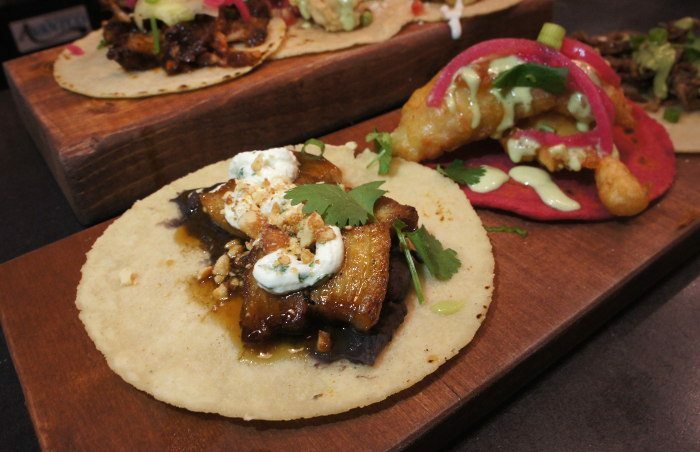 Customers looking for something different can order tacos with tongue, sweetbreads, or pork trotters. While the typical Buffalo diner might recoil from such menu options, Gonzalez made it clear that these are popular items in Mexico. 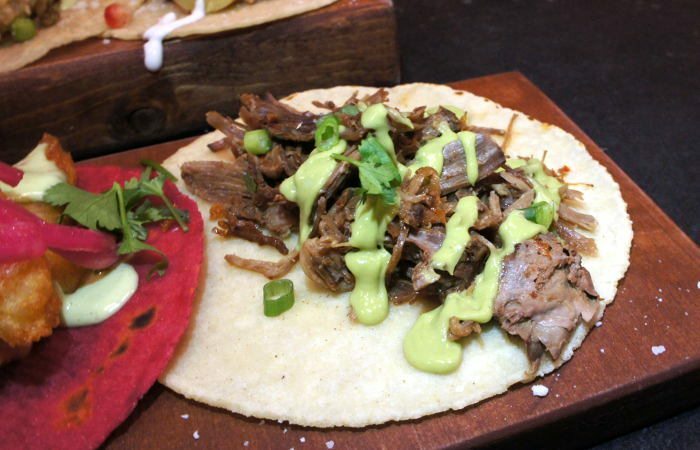 For instance, he said, meat tacos in Mexico are often made with trotters, or pig’s feet. He added that he doesn’t want to compromise when it comes to the food at Casa Azul. 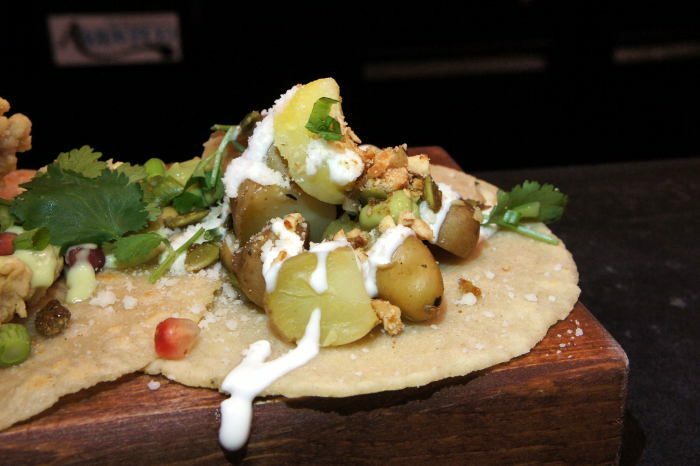 In addition to its taco menu featuring casa-made tortillas (!) and tortas on casa-made bread (!! ), Casa Azul is also currently offering seven different non-alcoholic craft beverages that are indigenous to Mexico, including horchata, tres leches and pineapple tepache, a hot beverage made from fermented pineapple. 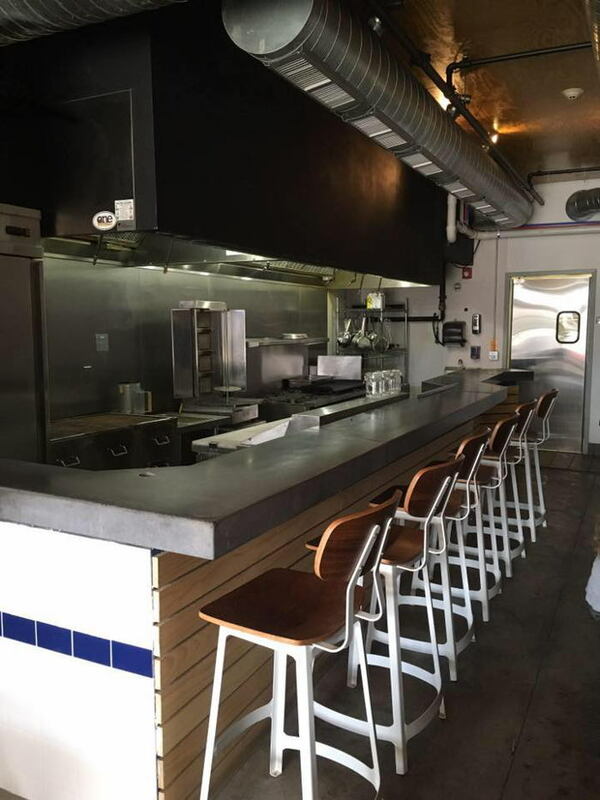 In addition to being uncompromising with respect to his menu, Gonzalez also was undeterred from opening what is now Casa Azul on schedule, despite his original partner, Sergio Mucino, being arrested and charged with employing undocumented workers. 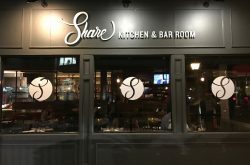 That concept is one that Gonzalez admits to stealing from restaurant icon David Chang: putting two different restaurants, one upscale and one more casual, into one location. 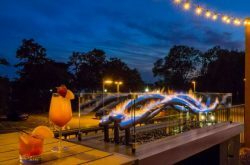 At Casa Azul, the ground floor will be a casual taqueria, and while upstairs will be an upscale restaurant and bar, slated to open in a few months – fingers crossed! All of the tacos at Casa Azul are priced quite affordably, ranging from $2.50 to $6. To me, the sight of progressive food at that price point isn’t something you see much of in Buffalo. Gonzalez said his recent bout with unemployment made him realize the importance of having adventurous food available at an attainable price point. “I realized that the food I wanted was unreachable” while unemployed, he said. “If I wanted to go get an extremely good dinner, restaurants are charging a tremendous amount of money, often for products that aren’t that costly. “More power to you, the restaurateur that is going to be able to justify that price,” he conceded. For more info on Casa Azul follow the crew on Instagram and Facebook. 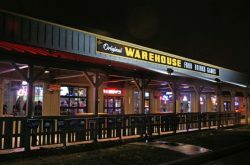 Hours: Monday – Saturday 11:30 a.m. to 9 p.m.